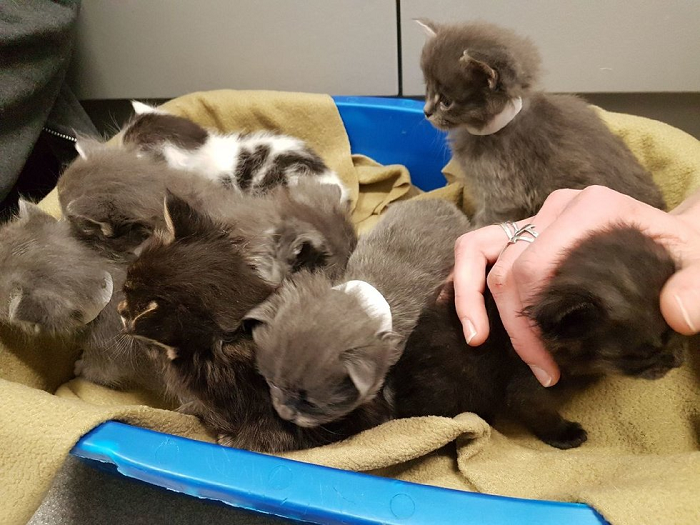 8 Kittens Abandoned In a Cardboard Box Discovered In A Freezing Alley! The temperatures were in the negatives, and the only thing keeping this box of kittens alive was the warmth of each other. In a minus 4 Fahrenheit temperature, however, those tiny little bodies wouldn’t be able to keep each other from freezing for very long at all. Their cries had been heard by a man who followed the noise to an alleyway near his home. 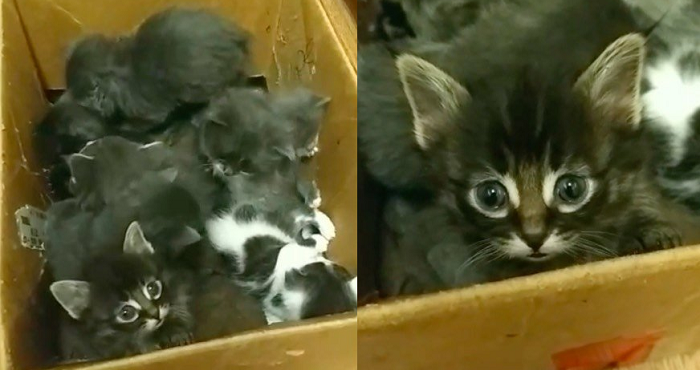 The box of kittens shocked him completely. He rushed them into his home, but he didn’t know what else to do…so he called for help. The kittens were picked up by the Street Cat Rescue and slowly warmed over a period of several hours. The kittens had been near death, hypothermic and nearly unmoving. They realized that the kittens were actually two litters. One group was about five weeks old, the other only 2 weeks old. They were sent to a foster home to receive care during the days and nights…and hopefully, they would recover. The kittens had never been introduced to solid food and needed to be taught how to eat. 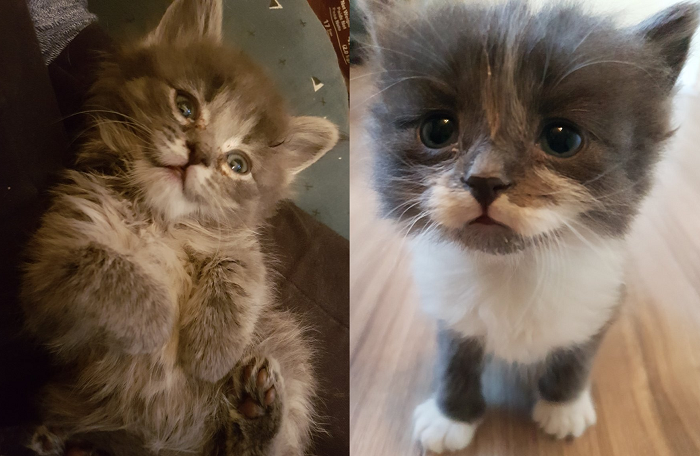 The smallest kittens couldn’t get enough cuddles, but they grew and grew and grew! Each and every kitten survived their harrowing introduction to the world, and while we will never know who decided to leave a box of kittens in a below-freezing alleyway, we will know that one day these kittens will have wonderful human families of their own!